There’s finally relief in sight for the thousands of Southern Californians who live near so-called "party houses" -- homes that are rented for loud, often all-night boozy parties. An NBC4 I-Team investigation in 2015 first exposed how these party houses plagued neighborhoods with blaring all-night music and drunken party-goers filling the streets. The LA City Council Wednesday morning unanimously approved an ordinance that allows the city to issue fines up to $8,000 to homeowners who rent their houses for these disruptive parties, and to the party throwers who rent the houses. "Today, we are putting public safety first and party houses on notice," said Councilmember David Ryu, who helped push the ordinance through council. "The problem of residential homes used as de facto nightclubs has been growing for years." 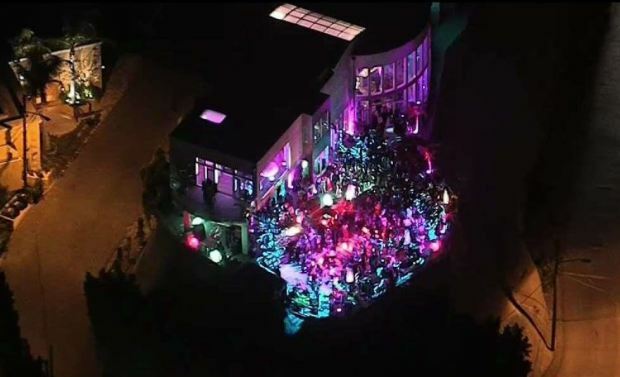 The party houses have been rented not just in upscale neighborhoods like the Hollywood Hills, but in suburban areas such as Valley Village and Northridge. And residents of those areas applauded the new ordinance. Homeowners in areas of greater LA are making big bucks illegally renting their homes out for all-night parties, causing a nightmare for sleep-deprived neighbors. An NBC4 I-Team investigation found that despite dozens of complaints, these so-called "party houses" are often operating unchecked by the LAPD and city officials. Joel Grover reports for the NBC4 News at 11 p.m. on Monday, Feb. 23, 2015. "I think this new ordinance at least puts people on notice that they can get in trouble," Patti Nagri told NBC4. Nagri lives in an LA neighborhood with numerous party houses. "It's dangerous. We're a neighborhood with lots of children and animals and dog walkers and now there’s speeding cars, getting to and from party houses," Nagri said. The party house ordinance allows the city to fine someone who rents out their home for parties, or someone who throws a nuisance party, $100 for a first time offense. The fines go up progressively, to $8,000 for sixth and subsequent violations. In the I-Team’s 2015 investigation, they found some homeowners who rented their homes every weekend for parties, causing constant gridlock on neighborhood streets and music that kept neighbors awake til dawn. "It's truly a nightmare because you want to feel safe and secure in your own home," Serra Aladag told the I-Team. Hollywood Hills neighbors are up in arms over a “party house” that has featured a cage lion. Mekahlo Medina reports for the NBC4 News at 6 p.m. on Monday, Sept. 28, 2015. She lives in Mount Olympus, another area with numerous party houses. The ordinance also contains language that will make it easier for the City Attorney to file criminal misdemeanor charges against party house renters. "This ordinance has the teeth to help us continue our party house prosecutions with greater effectiveness," said LA City Attorney Mike Feurer. A homeowners group is pushing back against 'party houses' in LA. Michael Brownlee reports for the NBC4 News at 4 p.m. on Friday, June 12, 2017.